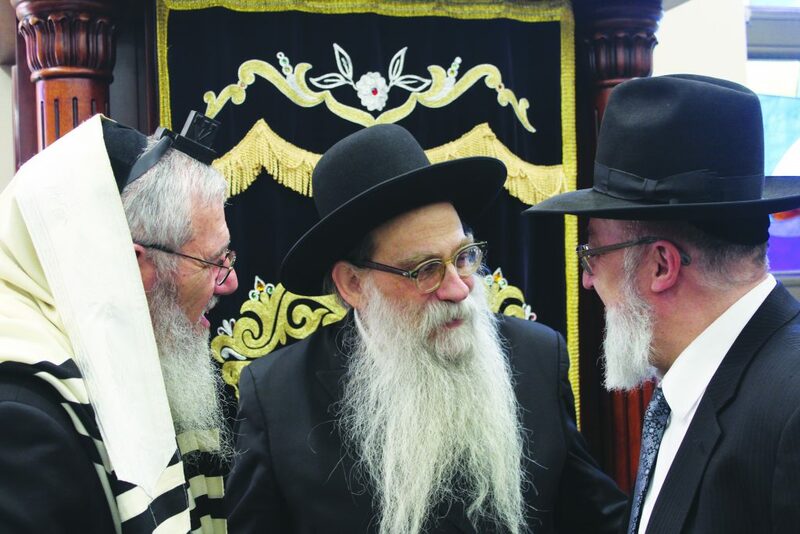 Harav Yeruchim Olshin at Yeshiva Ketana of Long Island with Rabbi Tzvi Bajnon (L.) and Rabbi Tzvi Krigsman (R.). 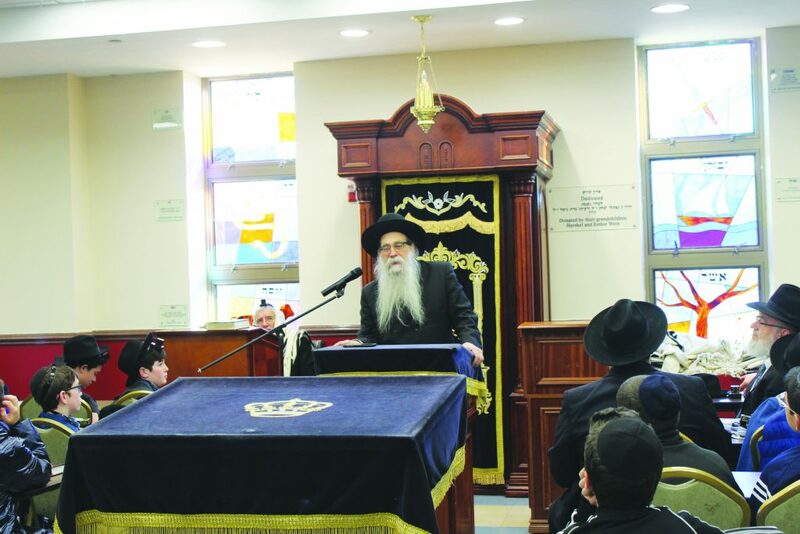 On Sunday morning, 28 Shevat/February 3, Yeshiva Ketana of Long Island hosted a special visit from Hagaon Harav Yeruchim Olshin, shlita, one of the Roshei Yeshivah at Beth Medrash Govoha in Lakewood. Rav Olshin addressed the boys of the sixth, seventh and eighth grades after davening Shacharis. He stressed to the boys that the path to becoming a talmid chacham and a Gadol baTorah starts with having a love for learning. 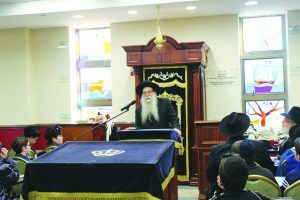 Harav Yeruchim Olshin, shlita, Rosh Yeshivah of Beth Medrash Govoha, speaking at Yeshiva Ketana of Long Island. He told the boys that Harav Mordechai Gifter, zt”l, the Telsher Rosh Yeshivah, received a brachah from Harav Shimon Shkop, zt”l, while Rav Gifter was a child, that he should love and desire learning Torah. After Rav Olshin spoke, the boys and their Rebbeim lined up to personally greet the Rosh Yeshivah – a real honor for all the talmidim.